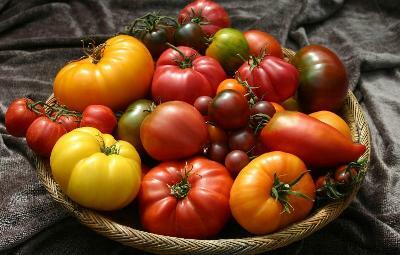 TomatoFest Annual Heirloom Seed Sale through January 21! Choose from 220 of TomatoFest's most favored heirloom tomato varieties – up to 50% off regular retail prices. NEW in 2013: Check out Burpee's SuperSauce Tomato , the largest sauce tomato. Starting tomato seeds gives you beautiful, healthy tomato plants to set out in the garden when the time comes. And it’s easy. Just be aware of 3 important decisions you make before you even pull out the potting soil. Decision #1: Take time to pick appropriate varieties. Tomatoes are not “one size fits all.” Different types of tomatoes are available that flourish in nearly every gardening environment. There are up to 25,000 varieties from which to choose. Don’t rush this decision. When selecting what tomato varieties to grow, the most important factors to consider are your climate and growing season length. Other factors in choosing tomato varieties are your preference for tomato shape (slicing, paste, cherry), maturity (indeterminate or determinate), and heirloom or hybrid types. Decision #2: Plant seeds at the right time. The magic window is 6-8 weeks before your last freeze date. Find out when to start tomato seeds in your area. Decision #3: Choose the best spot to grow tomatoes in your home: on a windowsill, under grow lights, or in a greenhouse or cold frame. There are three places to grow tomatoes. On a windowsill. While a window is the easiest and cheapest place to grow tomatoes inside, make sure it faces south to allow enough light. Watch out for drafts to keep plants warm. Under grow lights. 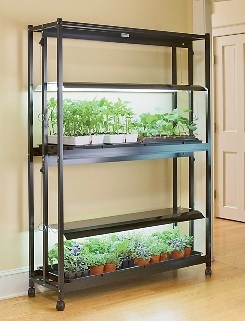 A controlled light source allows tomato plants to receive their needed 12-16 hours a day.